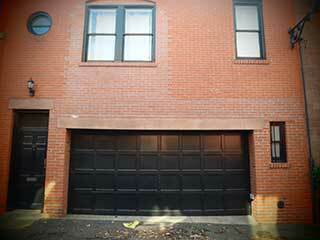 Home Our Garage Door Services Garage Door Installation What Is The Best Garage Door Material? The first thing you should choose when picking a new garage door is its material. Sometimes, this is a difficult choice because each material offers different benefits and presents different downsides, and every person's requirements can change, from those preferring more insulation and security to those who are looking for mainly a visual addition to their home. What Is The Best Garage Door Material?The truth is that one of the prime reasons many Georgians choose aluminum overhead doors is the inexpensive price, combined with the low maintenance requirements and the versatility this type of door offers. Aluminum doesn't need to be regularly repainted the way wood does, and it doesn't rust easily the way steel does. It's also very lightweight and doesn't require a very powerful opener. Its main downside, however, is durability, as an aluminum garage door can get damaged rather easily. Apart from its ability to withstand a lot of damage and to offer improved security capabilities, a steel garage door can also be insulated, which will make it a great choice. It is a natural conductor, so foam panels will need to be added to make a steel door insulating. This material can rust, so it will need to be examined every so often and maybe reapplied with protective coating too. It also tends to be heavier, especially when compared to aluminum, so it will require a more powerful opener. Some people will never abandon wood, regardless of its potential disadvantages, because it is very durable and can be incredibly beautiful. It might not be as resistant as metal, but it can make a property look really good and easily fits into the look of virtually every home. It's also a natural insulator, which means it won't just look homey, it will help your indoor environment feel nice and cozy too. However, wood demands a lot of maintenance and frequent repainting efforts, and it can rot or warp over time. There's no reason to play the guessing game. Rather than gambling on which type of door material is going to be the perfect one for you, give our team at Garage Door Repair Douglasville a call and have our experts help you make an informed decision.